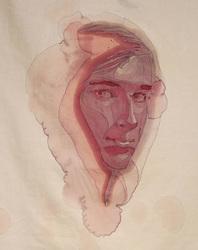 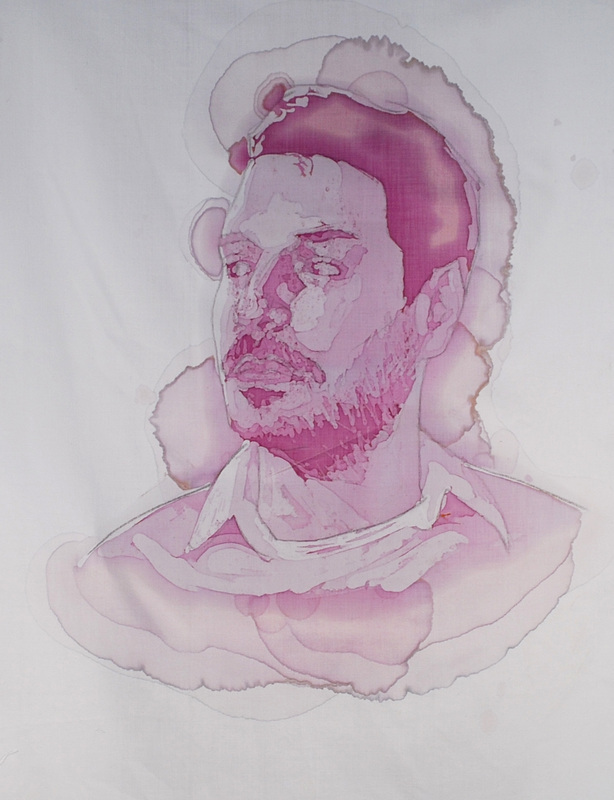 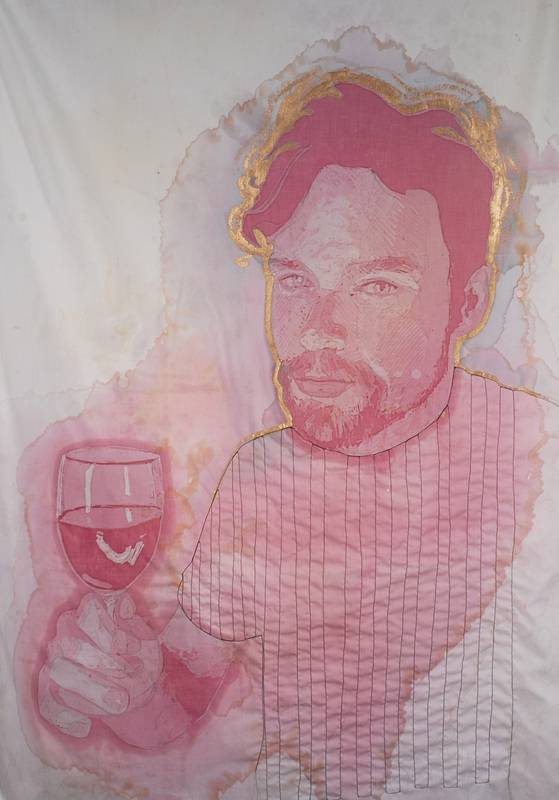 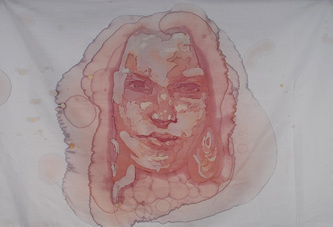 A portrait artist at heart, I am particularly intrigued by the challenge of trying to control the unpredictable nature of wine bleeding through fabric in order to channel the equally imprecise nature of a person’s character. In addition, the sacred aspect of wine lends itself to religious iconography: one who drinks wine may come to feel a certain level of saintliness sipping on this liquid form of divinity. 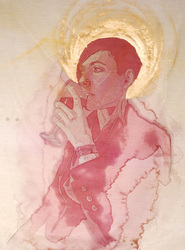 Consider this is a form of reverent consecration. 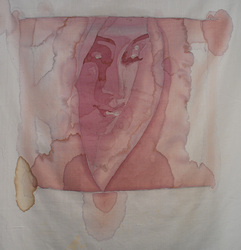 When I started making wine stain portraits, my equipment was rather crude. 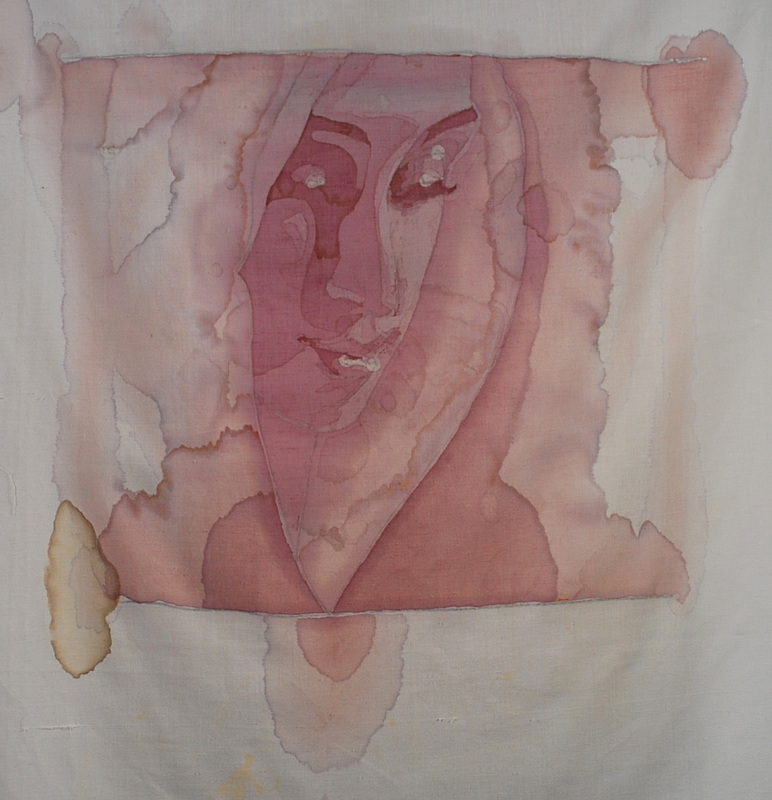 I was melting dead candle remnants in a coffee can over a propane grill, painting the wax resist with a beat-up bristle brush, and using cotton bed sheets previously employed to protect tomato plants from frost. 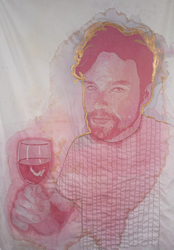 I have since upgraded my process a bit. 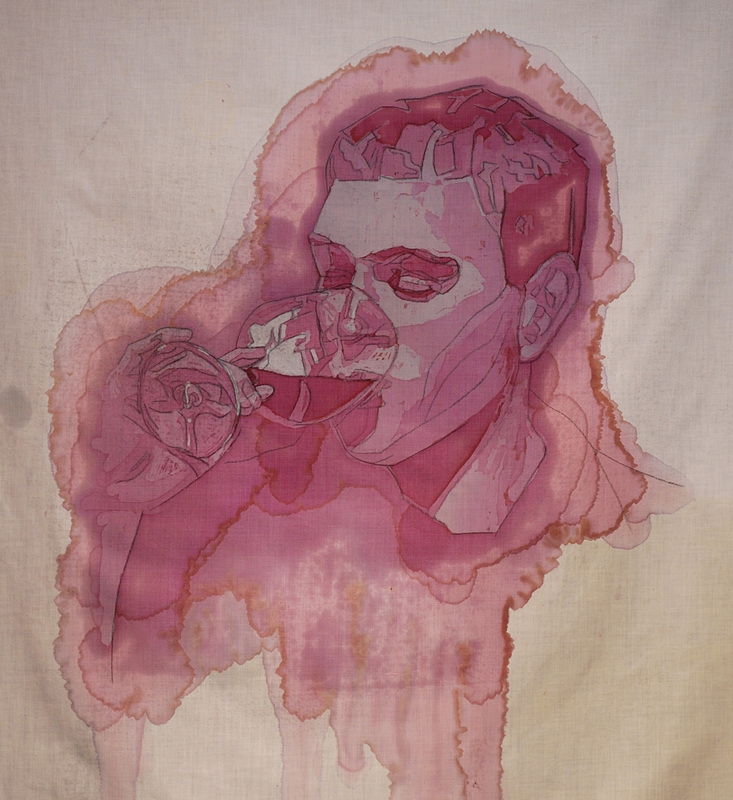 The first stains were made with a bottle of French Cahors, but subsequent stains feature Finger Lakes reds, like Damiani’s Vino Rosso, chosen for color, tannins, and low residual sugar. 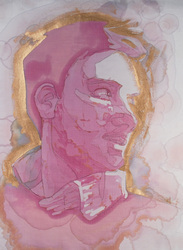 These works are fragile, so they entail a higher level of care than works in more traditional media. They require certain climate conditions, much like a good bottle of wine should be stored in a wine cellar.